Another blog, another Euro road trip for the RPM GT4. After its second oil change at 7k and a swap from the factory fitted Dunlops (which were great) over to some more focused Michelin Pilot Sport Cups, she was fit and ready for another 2200km adventure! Too early to tell much difference on the change of rubber but they certainly look the part and from previous experience of these tyres on other Porsches, we know they are incredibly sticky and have decent (ish) life in them. A trackday later this month will provide some more feedback on how the car handles on these. We also have started playing with the set up a little beginning with the antiroll bars. For this trip it was fully hard rear and fully soft on the front. Another set up feature of the GT4 is the manually adjustable aero, so given the A road/motorway nature of the trip it was returned to ‘low downforce’ with the rear wing flattened off and front winglets on the underside re-installed..more of that later. We also stopped off at Hohenzollern Castle, which was a great drive. Just make sure you get the transfer bus from carpark to the Castle as a 1k climb on near vertical steps gets your lungs pumping! We ventured out into the hills surrounding Stuttgart too and found some epic driving roads which the GT4 ate up. Even if the traffic getting there was beyond painful on a busy Friday, it was worth it. The aspect I was most interested to see on the GT4 was the touring nature of the car. Ollie managed a big 3.5k road trip in Spain earlier this year and found the seating fine. However, Ollie and I are different body shapes and at 6’3” the 918 seats were looking like a expensively daft option to be spending ten hours sitting in. Unsurprisingly I’m pleased to say that they were excellent! Only issue Daly Snr found was digging himself out of them to grab the tickets from toll booths in France. Small sacrifices though. 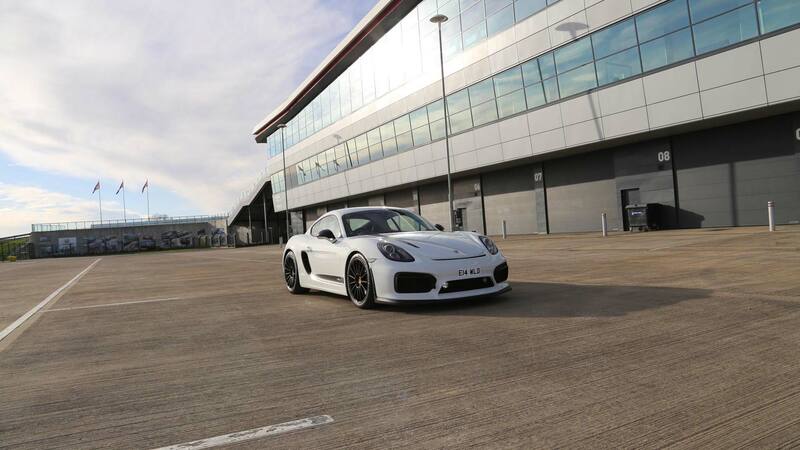 Another intriguing aspect was that on short blasts the fuel economy on the GT4 has been ruinous – not the biggest issue in a track focused Porsche I’ll grant, but on a long run with a small tank this can become tedious. Since passing the 5k mark the engine has been notably stronger and economy was better too, so again no dramas with up to 400kms on a tank. One last boring but practical mention is the PCM3 sat nav which was was flawless throughout. A few times I second guessed it and got it horribly wrong, but I soon learnt to trust her and it guided us around perfectly. The autobahns on the route home proved to be very kind for traffic and with an early start on a Sunday morning it gave us some opportunity to explore the outer edges of the car’s performance. Luckily we found ourselves on the ‘right’ road at the right time, and crucially with the aero in the right setting…she pulled to an indicated 299kph/ 186mph (Annoyingly we missed our photo opportunity and ‘only’ managed 290kph by the time we had an iPhone on hand – you’ll have to take our word for it!) Before having to back off due to traffic, she felt rock solid whilst doing so and yet again the car really impressed throughout the trip.